Sculpture Size: 30 X 24.75 X 21.5 in. The eagerly anticipated Frogman table base—an unbelievable focal point for any room, and the ideal display space for your frog collection! 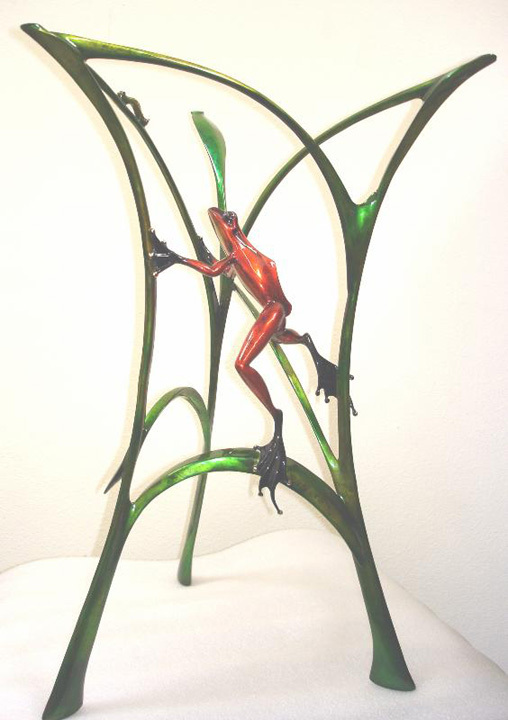 A gorgeous creation featuring vertical grass blades and a large metallic red frog climbing up toward a golden caterpillar. Looks great with a round glass top. Ships to you without glass so you can order the exact size you need for your space.